Honey Do Shampoo & Conditioner! And Giveaway! 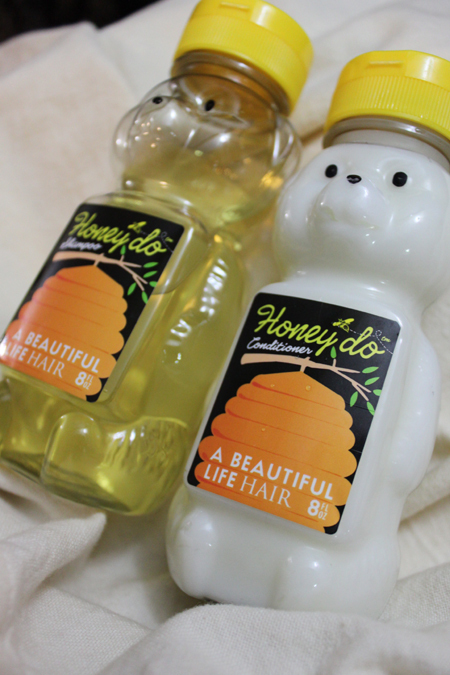 In my never-ending quest to eliminate unnecessary chemicals from my family’s waste stream, I was very happy to be given the chance to review A Beautiful Life’s Honey Do Shampoo and Conditioner set! This shampoo and conditioner set is not only sulfate free, but also paraben free and it is made with organic honey. As a side bonus, they also come in bear shaped honey containers for extra cuteness! 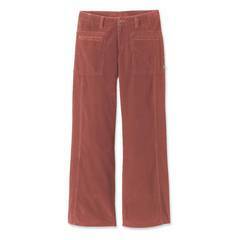 Having the ever elusive tag of “Made in USA” doesn’t hurt, either. Although the shampoo is very similar in color to typical store bought honey and the conditioner reminds me of fond memories of creamed honey (make sure little kiddos heed the “Not Food- Do Not Eat” warning), I was very surprised when the dominant aroma was, in fact, lemon. Although I was surprised, I wasn’t unpleasantly so. The shampoo does a great job of removing build-up, but it is gentle enough not to damage hair with frequent uses- and since running season has started for me again, so has more frequent hair washings. The conditioner is a thick, heavy cream that really feels like it is packed with good stuff for your hair- so much so that sometimes it needs a little extra coaxing out of the bottle. But both rinse clean, leave a slight hint of the enjoyable lemon smell, and leave hair easily manageable. Unfortunately, I have been cursed with the lamentable trait of dandruff- an affliction that, for me, only the embarrassingly titled shampoos seem to be able to cope with. So although I only found half a solution to may hair washing needs, the lovely people at A Beautiful Life are offering a free giveaway of a Honey Do Shampoo and Conditioner Set for you to decide for yourself! To enter, “like” A Beautiful Life on Facebook and leave a message for them with your best natural or organic hair care tip. Then come back and leave us a comment here, on this post. The contest will close at 11:59 p.m. on April 5th and the winner will be posted the following day on April 6th. my best tip is to drink plenty of water. Thanks for the tip, Donna. I have no good hair tips, I am still in search of some. I have somewhat curly hair that’s easily weighed down, so finding good shampoo and conditioner is hard for me. Finishing the conditioner rinse with cold water seals the hair and helps with shine. Also I recently learned that hotels often have soft water, which is why hair feels/looks so different (a little flat and greasy) after showering at a hotel, so it is often best to go light or skip the conditioner when staying at a hotel. I love the Honey Do bottles! I only wash my hair twice a week, that way it doesn’t dry out and day 2 & 3 are the best hair days! I commented over on their facebook page. I made a hair masque out of mayo and eggs that did wonders for my hair once. Rinsing your hair with cool green tea helps treat itchy scalps and dandruff. I steep a couple tea bags in 1 cup of water and allow the tea to cool then apply it in the shower. It leaves your hair very soft and shiny. I commented on your FB page: I don’t do anything organically special to my hair other than I like to let it air dry as much as possible. I hate how damaging hair dryers can be. Plus the noise makes my dog freak out! The best thing that you can do for your hair is to eat a healthy diet, including organic meals. Your hair is a direct product of how well you eat and take care of your body(including exercise). If your body does not have enough vitamins from healthy meals, it cannot spare any to your hair. we have a winner! Ellie Wetzel! I make sure to drink plenty of water, NEVER use a hair drier and don’t comb or brush my hair when it is wet (cuts down on split ends). he greenist.com sent me and my natural hair care is this: Honey is a wonderful emollient/humectant and whenever I make my henna mix or a natural conditioner is not performing up to par for my dry curly hair, I add a tablespoonful of honey. It gives me instant moisture and my hair definitely appreciates it. That’s a major reason why I like your company, the fact that y’all incorporate honey into your ingredients. Pingback by Honey Do Shampoo & Conditioner Giveaway Winner!